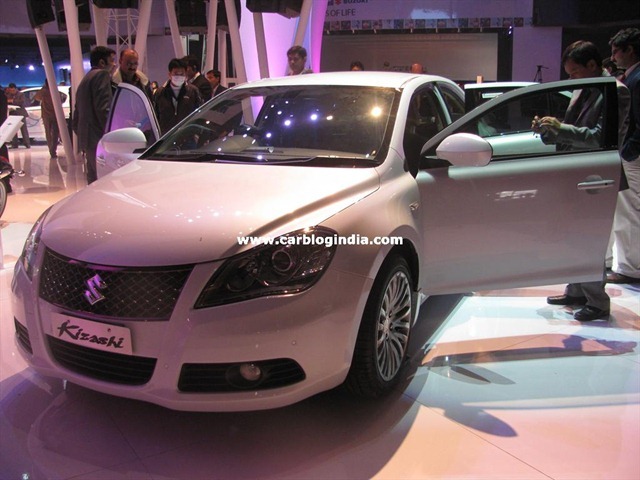 Maruti Suzuki has displayed its luxurious sedan Maruti Suzuki Kizashi at the Auto Expo 2010. Earlier it was expected that the launch of this Sedan will be around the end of 2010. There were some delays over the decision to assemble it in India as CKD or to get it as a CBU from Suzuki Japan, or manufacture it locally. As of now, the decision of importing it as a CBU has been taken. The car will be launched in India around March 2011 as a completely built unit attracting a hefty 110% import duty. This duty will mean higher price tag for end consumers. Maruti will try to see the response of Maruti Kizashi in India before taking any steps further to assemble or manufacture it in India locally.